The Phils’ Trevor Plouffe lined a three-run home run off Dodgers utilityman Enrique Hernandez in the bottom of the 16th inning to give the home team a 7-4 victory. It turns out that Plouffe’s homer was historic. Hernandez was in the game after the Dodgers had used closer Kenley Jansen for five outs in the 14th and 15th. Rich Hill, one of the Dodgers’ starters, was getting loose in the bullpen, but not to come into a tie game. “You don’t want to compromise the starters going forward. They were on line for an extra day (of rest) and that’s what we wanted. They need that. It’s a decision you have to make and unfortunately we ran out of pitching in the 16th,” Dodgers manger Dave Roberts told reporters, per the Orange County Register. Counting Hernandez, the combined total of pitchers used, nine by each team. Vince Velasquez, one of the Phils’ starters, worked the 16th and got credit for the win. The Phillies also used a 10th pitcher, Zach Eflin, to pinch-hit. Golden sombreros in the game, two for each team. 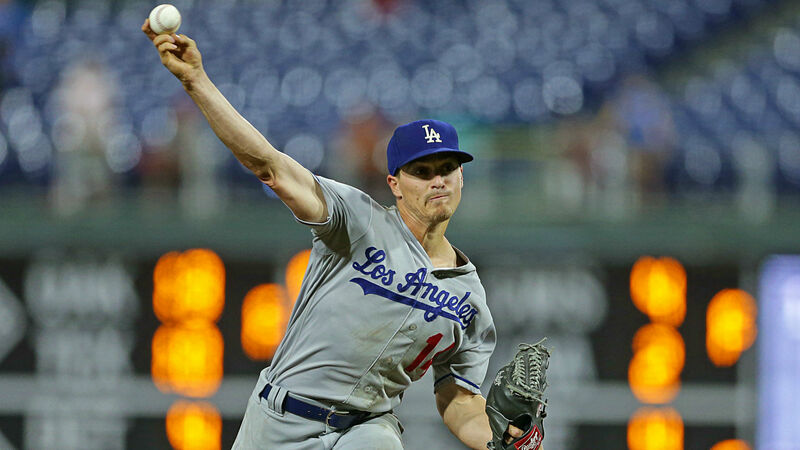 The Dodgers’ Yasmani Grandal and Joc Pederson, and the Phillies’ Cesar Hernandez and Jorge Alfaro, all fanned four times. Combined at-bats by Enrique Hernandez, Cesar Hernandez and the Dodgers’ Max Muncy. They produced no hits as each went 0 for 7. Hernandez became the 36th full-time position player to pitch in the major leagues this season. Those 36 players have combined for 42 total appearances. That figure does not include Angels two-way player Shohei Ohtani’s nine appearances. Combined ERA for those position players not named Ohtani (40 earned runs in 41 1/3 innings). Of course, putting up zeroes isn’t really the goal with these appearances: saving bullpen arms is. Unfortunately for the Dodgers, their position-player pitcher gave up runs AND took an L on Tuesday.